For details of individual galas please see under the Upcoming Galas menu. Warriors of Warrington is a competitive swimming club and all members are encouraged to compete in both internal and external galas. Please see the Competitive Gala Programme, which can be viewed from the link below, for more information about the galas that are appropriate for your level. Do you need help with travel and accommodation costs when your swimmer is competing nationally? If so, visit our FAQ page for more information about grants. Details of upcoming internal (home) and external (away) galas relevant to Warriors swimmers can be found under the Galas on the main menu. Please make sure you review this section on a regular basis to make sure you don’t miss important information regarding competitions. For information on galas please visit our FAQ page. A PDF document of the Competitive Program is available to view\download by clicking the link below. If you’re not sure about which galas to enter please contact your coach. .
We run a withdrawal system for our internal badge galas. There is no need to register on arrival. 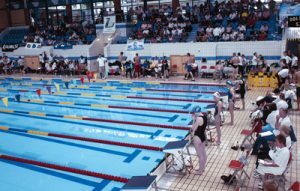 You will need to contact us before 3 pm on the day of the gala if you wish to withdraw your swimmer from one or more events. Details of contact number/e-mail will be shown against each gala on the Events page in the Gala Calendar.